Last week, the New York Times announced a baffling decision to eliminate its stand-alone copy desk (and, therefore, a huge chunk of its copyeditors). In the days that followed, NYT reporters and editors sent strongly-worded letters to executive editor Dean Baquet and managing editor Joe Kahn explaining why copyeditors are so crucial to the Times’s operations, especially in an era when print media outlets are particularly vulnerable because of the “fake news!” rallying cry and declining readership. Editors nationwide lent their support on social media by using the #whyeditors hashtag to demonstrate that copyeditors are vital—not just to journalists but to all writers, regardless of their subject matter, audience, or purpose. 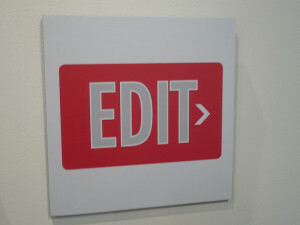 Editors need to break the silence about what we do. Our work is everywhere, yet editors are nowhere. Every New York Times article has been edited and proofed, but the copyeditor’s name isn’t in the byline. Every best-selling memoir or novel has also been edited and proofed, but the author’s name is the only one on the book cover. Even unpublished dissertations and theses go through various stages of uncredited editing. Because we aren’t acknowledged for our work, it’s easy to forget that editors exist—that we play a vital role in creating the texts that generate income for writers, publishers, media outlets, and businesses. While I don’t think editors’ names should be stamped on everything we touch, I do think it’s time for us to let the world know what we do and why it matters. If we don’t, it’ll be easy for other outlets to follow the New York Times’s lead. We’ve placed our profession in jeopardy by (a) upholding an antiquated code that says editors must be invisible and (b) perpetuating the myth that a writer’s text is his/her sole creation. As one of the #whyeditors Tweets pointed out, paraphrasing editor Karen Yin, the editing should be invisible—that goes without saying—but editors themselves can no longer afford to be. Most people think of editors as human spell checkers and grammar checkers, but we do so much more than that. We verify sources, we check facts, we ensure professionalism, we ensure consistency, we ensure clarity, we convey tone, we organize information, we structure texts, we eliminate redundancy, we identify missing information. We do things that Word and Grammarly aren’t capable of doing—and won’t be capable of doing anytime soon, if ever. Simply put, writers need editors. During my ten years in the classroom, I encouraged my writing students to visit the campus writing tutors by saying, “Even if you’re a strong writer, you can’t see your own errors. You see what you think you wrote, not what you actually wrote.” I also said things like, “Your paper makes sense to you because you know what you’re trying to say. You need someone else’s opinion to really know if it makes sense.” I made these proclamations based on my own anecdotal experience, but there’s also science to back up what I instinctively know: that our brains can’t objectively process our words. The New York Times is eliminating its copy desk to “streamline” the editing process and have its writers take a more active role in editing. They’ll certainly save money in salaries by doing this—but I wonder if they’ve considered how much they’ll lose when their readers and sponsors begin to notice usage and mechanical errors, question source veracity, protest biased language, and struggle with unclear sentences. Credibility is priceless, and copyeditors play a huge role in maintaining that credibility. It may only take a few high-profile mistakes to erode a reputation that took 150 years to build. 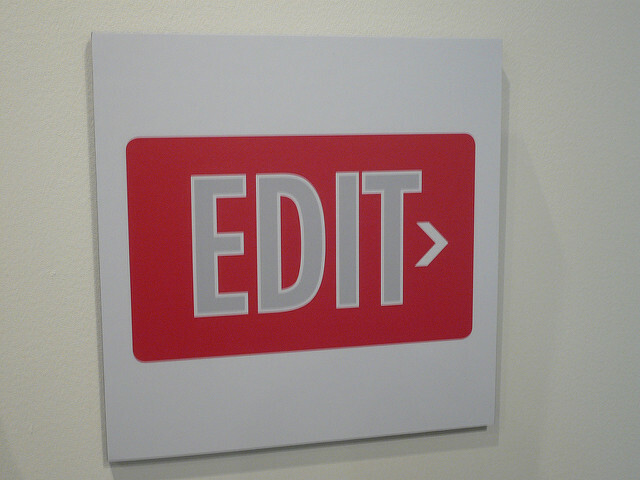 They’re not cutting all editors, but it’s going to be a significant reduction. The NYT executive editor says that it’s not a cost-cutting measure and that it’s intended to increase the quality, but I can’t see how.